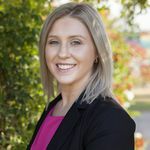 Taylia is a fresh face in our business, starting her Real Estate Journey this year as our Receptionist. With 6 years of customer service under her belt, you can rest assure you will always be greeted with a welcoming approach and can-do attitude with Taylia in the front line of Valley Estate Agents. Trained by Sophie Abela herself, she strives for excellence, she has great attention to detail and is always eager to help assist with your enquiries. Whenever you call or visit our office, you know you are in good hands!